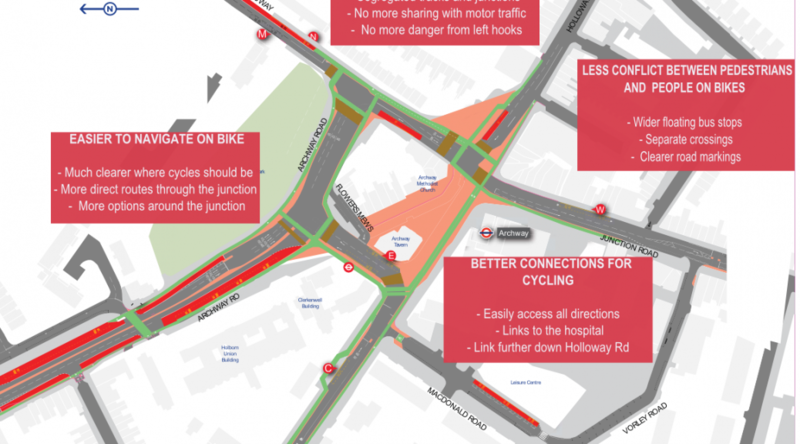 Read Islington Cyclists’ response to the proposals here. TfL’s consultation documents can be read here. 1) Coming from Junction Road to St Johns Way there is a left hook risk: requiring cyclists to turn right across left turning traffic. 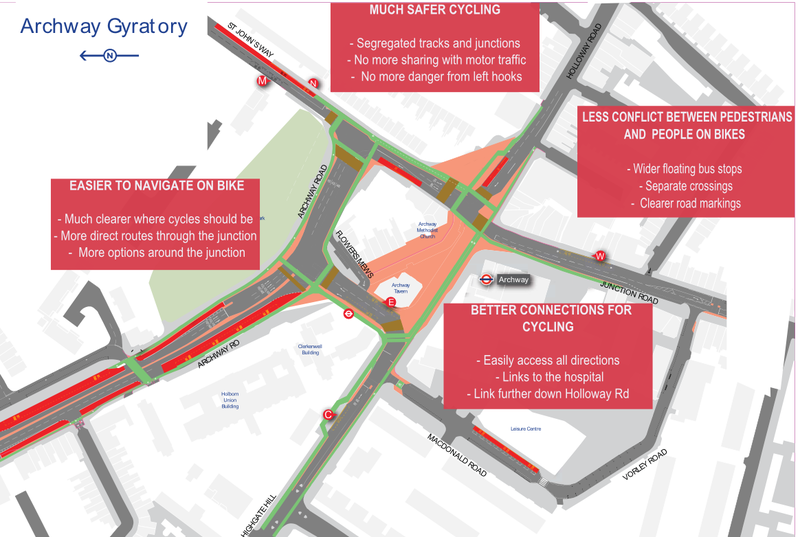 A cycle track along the central Archway island and a cycle crossing on Archway Road would ensure these cyclists are safe.